Want to get your voice heard? Don’t have your own website? Now we have the solution. Pokezine.com is a free Pokemon online magazine for everyone to enjoy. If you would like to publish your opinion, game cheats, helpful hints, etc. on Pokezine.com, just send us your article. Its very simple. Just email us with your article along with a title for the article. You may also include your name or the author of the article’s name if you wish to have it published along with your article. If you would like to remain anonymous, then don’t include any name with your article. Please make sure your articles contain proper spelling and punctuation, as we will publish them as is. Try to keep your articles clean and semi-positive in nature (no complaining, inappropriate language, etc.) so that all people can enjoy your articles. After reveiwing your article, if accepted, we will then publish it on Pokezine.com as soon as possible. 2. Reviews of Pokemon plush toys, movies, anime, etc. 5. Anything else Pokemon related that is interesting. 1) Articles must be at least 300 words (500-1000 is preferred, but at least 300 words). 2) Articles must be your own work and not copied in part or whole from any other site. 3) Articles must be something that is not currently on any other site (ex. something that you write yourself that you haven’t already written for another Pokemon site, etc. 4) Articles must be informative. Something interesting to readers. 5) Article should have a title (if not, I will add one). 6) Article should not repeat the same word many times (example: don’t say “Pokemon” 50 times in the article. try to change the wording a bit so it isn’t so repetitive. 7) Article should contain proper spelling and punctuation and should not contain any profanity or “ranting”. well, u see you might have 2 wait a while because shiny pokemon r rare and they cant b found in certain places. As u see, i have many shiny pokemon now after doin many trades. I have a shiny minun, a shiny rayquaza, a shiny quasire, shiny umbreon, a shiny eevee, a shiny leafeon, and thats it. It will take u a while, but if u wait long enough u might just find 1. 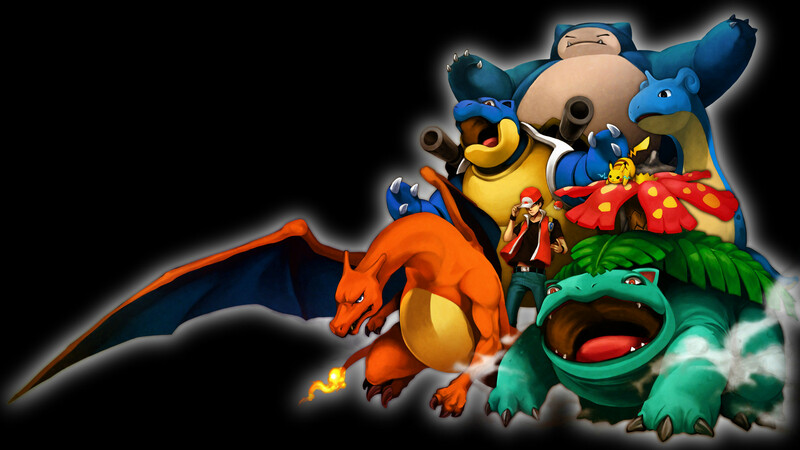 It took me 6 months 2 get does pokemon and i luv them all. i hope u take this advice and wait and trade with many people. P.S can i have some friend codes, because im looking 4 a victini and nobody has 1. i’ll trade u my eevee or 1 of my lvl 100! HOW TO CHANGE SEASONS WITOUT WAITING first you go to your settings in your ds and you go to DATE.Then go to the month and like for example: its march and its autumn in the game,well just change your month to april or may or june or any other months you want. then it will be winter in april and in may it will be spring and in june it will be summer.the seasons affect what pokemon you see. for example, in the summer a deerling will be green with flowers. deerlings colors always change during different seasons.in the winter you can get to other places you couldnt get to before in the other seasons. P.S. if you go to icarrus city in the winter,go by the nenterance by the dagonspiral tower and youll see snow piled up in a place where you can get an item. ( i think its a rare candy i dont know for sure i have to look in my game). Title: How to Spot Fake and Counterfeit Pokemon Cards! So you bought cards from a new store or someone online. You’re asking yourself “Are these cards fake?”. Now, you will know how to spot a fake card! Exceptions can be made as mentioned in #4. 1. The easiest possible thing to do is to look at the card. Does it look mis-colored on the back? Some fake cards have a more purple-ish tinted color to them. If thats fine, it doesn’t always mean its real. Try this next. When the people are making fake cards, the machine gets messed up and mis colors sometimes. 3. Too many typos. This is the worst problem with fake cards! Example would be if it was a card with a Pikachu on it, and at the top it said Squirtle! Some things are not even possible. Another thing is the “E” in the word “Pokemon” being a different font then the other letters of “Pokemon”. The front only of the card on the white thing below! 4. There are two types of cards like these. Misprints, and Fake! Misprint is just whenever theres a minor mistake that makes the card more rare, I should say. A fake is made by some unauthorized company without any permission from Pokemon whatsoever! Pokemon cards, that are fake, are sold for very cheap at a store. A regular pack costs $4 or $5. If its fake, its usually sold for $2 or maybe even $1. Q: What is a misprint or miscolored Pokemon card? A: A mis-colored card is where color is different. An example would be a Pikachu with red cheeks. The Pikachu’s cheeks are orange in older cards. Pokemon made a mistake and made the cheeks on the Pikachu red. A misprint somewhat same thing. A misprint was mentioned above. If you want more info, read above. If you have ever received a fake Pokemon card, you have been scammed unless that is what you paid for! Hope this helps you to spot a fake card. Now before you leave, this is how to avoid being scammed! Whats a referral? Its reputation. Look at how many traders he traded with and how many they listed as scammer. Then go to someones channel and see if they have him/her listed as a scammer or trusted trader. Trusted trader is GOOD!! Scammer is BAD!! Hope this helped you to spot fake cards and how to spot a possible scammer. thanks ANONYMOUS! now i know what to buy and whats worth the money! So go to pinwheel forest and in that firsst part with grass patchs just run around the grass try not to go in to it but once you find a shaking grass patch immediantly go there but be carful this takes time and carefulness if it is not a Monkey pokemon it could be. Audino or Whismicott in the winter Whismicott would appear if the monkey wont and in the other 3 seasons Audino will apear if the monkey wont. Also just a hint DONT SOFT RESET! Hatch eggs and dont chain either because once it gets to 40 and your at a place with more than one pokemon you can ocounter it will mess up immediantly!